Purchase Valdani Thread Kits Here! Be sure to follow my Facebook page to see what I'm working on! Visit my Etsy Shop for patterns, kits, hornboards and punch needle supplies! 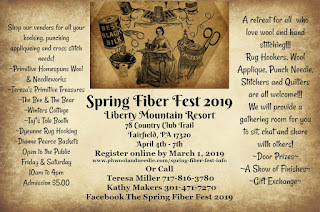 Spring Fiber Fest 2019 is open for registration! For information and registration click here! 78 Country Club Trail, Fairfield, PA! 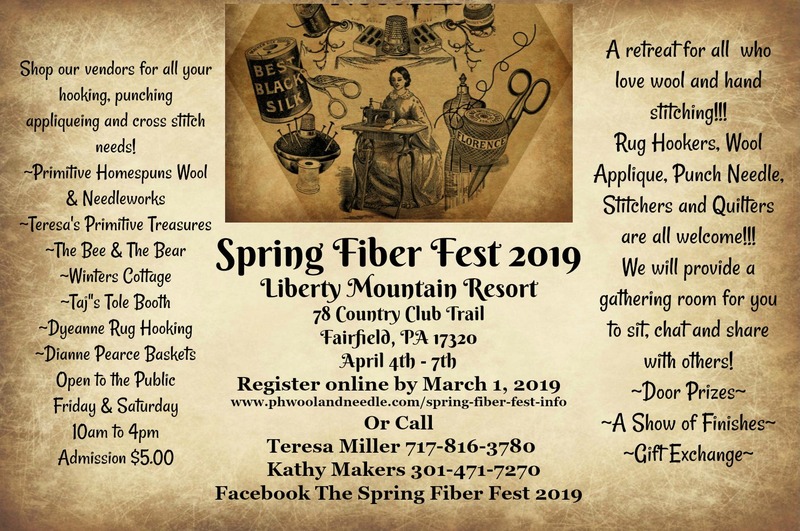 A retreat for all those who love wool and hand stitching!!! Rug Hookers, Wool Applique, Punch Needle, Stitchers and Quilters are all welcome!!! We will provide a gathering room for you to sit, chat and share with others! 3 classes will be offered too! A great excuse to visit the historical town of Gettysburg, PA! Lots to see and do! There will be a mercantile for shopping fun, door prizes and so much fun! Bring your friends and share a room to save on cost! 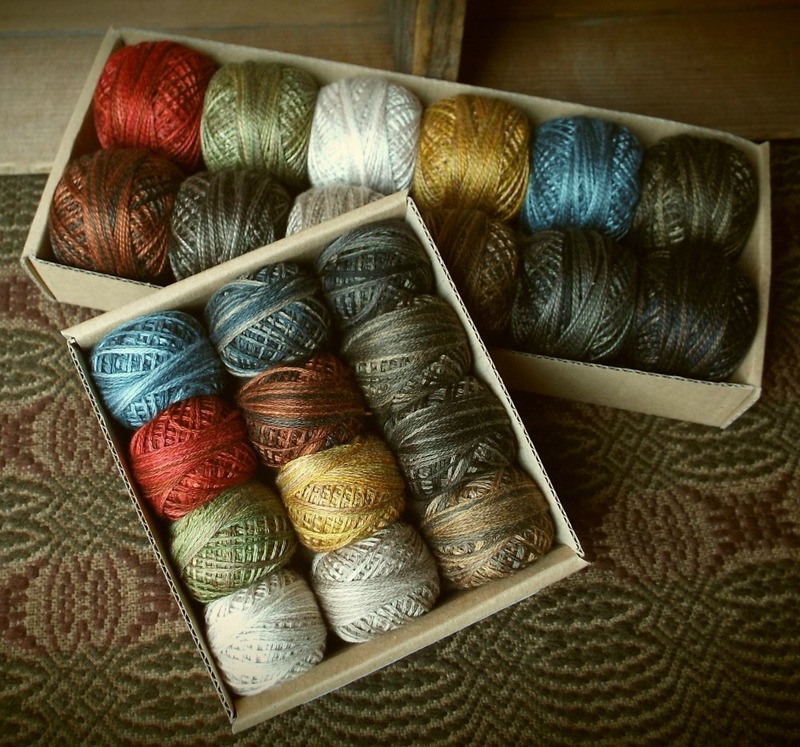 Classes are full but kits are available!